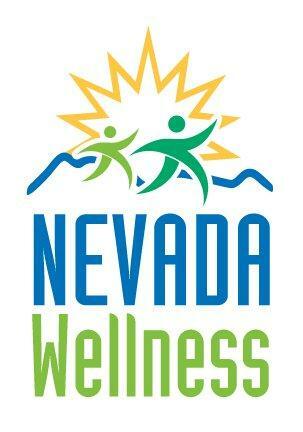 Nevada Healthy Living is the Nevada Quality Technical Assistance Center which is coordinated by Dignity Health- St. Rose Dominican Hospitals. Our mission is to advance and support the delivery of evidence-based programs for Nevadans living with Chronic Conditions. The fact is, 95% of care for an ongoing health condition like high blood pressure, diabetes, arthritis, or heart disease takes place in our own homes and communities – not in doctor’s offices, hospitals, or other health care settings. But while we all “self-manage” our health, most of us can benefit from learning how we can do it even better. Evidence Based Programs have proven to increase healthier outcomes and prevent diseases among older adults. These programs are interactive and engage the participants in demonstrating positive changes. The benefits of Evidence Based Programs include; improved quality of life, reduced pain, improved mental health, and many more. Did you know that 1 in 3 people have pre-diabetes? Of those with prediabetes, 90% don’t know they have it. Want to learn if you have pre-diabetes? Take the risk test below. If you have been diagnosed with pre-diabetes click on the National Diabetes Prevention program to learn more about education near you. Use your zipcode or type in keywords to find an evidence-based program near you. This is a six-week chronic disease self-management program that teaches coping techniques for frustration, fatigue, pain, and isolation. Healthy eating tips, exercise strategies, communication skills, and appropriate use of medications will also be provided! This is a free class that will take place every Thursday, April 11th- May 16th, 2019 from 10 a.m.- 12:30 p.m. at Quail Ridge Manor. Only residents of Quail Ridge can attend this class. Evidence-based exercise group program helps older adults at all levels of fitness become more active, energized, and empowered to sustain independence. Evidence-based exercise group program helps older adults at all levels of fitness become more active , energized, and empowered to sustain independence. Evidence-based exercise group program helps older adults at all levels of fitness become more active, energized and empowered to sustain independence. This is a six-week chronic disease self-management program that teaches coping techniques for frustration, fatigue, pain, and isolation. Healthy eating tips, exercise strategies, communication skills, and appropriate use of medications will also be provided! This is a free class that will take place April 29th- June 3rd, 2019 on Mondays from 1:00 p.m.- 3:30 p.m. at the St. Rose WomensCare Center of Excellence. For more information or to register please contact Victoria Alejandre at 702-616-4914. This publication was supported by the Nevada State Division of Public and Behavioral Health through Grant Number 6 NU58DP004820 from the Centers for Disease Control and Prevention (CDC). Its contents are solely the responsibility of the authors and do not necessarily represent the official views of the Division not the Centers for Disease Control and Prevention.